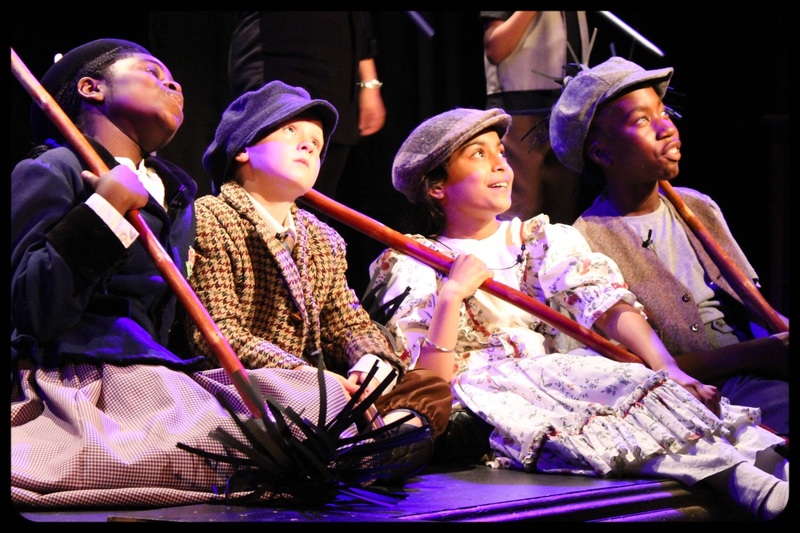 With a very different focus to a theatre school or a typical speech & drama class, the main objectives are to build confidence and develop life and social skills in a fun-filled, no-pressure atmosphere. For this reason the classes are non-exam focused and are restricted to 10 children per class (or 8 for the 3-5 year olds) to allow for plenty of encouragement and individual attention. Students build a strong bond within the group, therefore creating a safe environment for taking steps outside their comfort zone. Public speaking, presentation skills, musical performance, social skills, coping skills, assertiveness and self-belief are explored through music and drama. Parents are encouraged to talk to the teachers about their children’s progress and any day to day issues that arise in the children’s lives can be explored in the class. Each group of children perform a separate annual concert for families and friends, where every student has the opportunity to stand in the spotlight and perform a couple of chosen solo pieces along with some public speaking worked on throughout the year. The concert also serves as a showcase for social skills and other life skills learned throughout the year. While many love to perform, others need lots of individual encouragement and support. Each of our teachers are totally committed to each child, providing the care and genuine interest that is required to help them achieve their goals. This course is suited to all types of personalities and abilities and attracts as many boys as girls. (i) Students choose from a range of poetry/monologues and songs etc.from Disney films and musical theatre. They work on one piece at a time with a view to gaining the confidence to perform them – not only for their class but to a wider audience. Within the small groups, students encourage and support each another – which is important for building confidence. The children also increase their knowledge of musical theatre and musical films. (ii) Students work on a short play throughout the year in preparation for performing it at their annual show. B) Improvisation, drama games, presentation skills and coping skills. Each class will have time allocated to: role play; characterisation; improvisation; and drama games. Using these techniques, students learn to look outside of themselves; to respect and understand other people’s ideas, attitudes and approaches. Acting out day-to-day scenarios results in children processing their own and others’ behaviour in both enjoyable and potentially challenging situations. They learn how to be assertive in such situations without being aggressive and they form opinions on all sorts of things with a broader perspective on life. This is wonderful training, not only in acting techniques, but also in life skills. With the older children, we explore subjects such as: bullying; difficult friendships; understanding and relating to older people; relationships with parents throughout teenage life. This can be very beneficial in preparing children for the inevitable challenges of secondary school life. From Junior Level (6-8 year olds) upwards, the students learn the skill of presenting: from a starting point of speaking for one minute on any topic they wish, to a senior level where students will devise and present a “television programme”. These techniques are the same ones used in many of the communication skills centres for adults. Optional theatre outings are organised regularly to encourage a love of theatre. Very often it is arranged for the children and their parents to meet cast members backstage and experience being on the set. This enables students to learn first-hand, how a show is produced from a “backstage” point of view. These classes take place in our Stillorgan, Monkstown and Carrickmines venues. This class is action-packed fun! Similar to a stage-school environment, students have an hour of singing, acting, stage technique, audition preparation and theatre training, followed by an hour of dance/hip hop training. Even though there are larger numbers in this class, great care is taken to give each student equal opportunity to develop further talent. The emphasis is on building confidence and having fun rather than creating ‘little stars’, however, if suitable, plenty of opportunities for auditioning for, and performing in professional shows are available along with the preparation and support throughout the process. Indeed, many of the students have enjoyed great success in this regard. All students will work towards performing in the fully costumed annual show at The Mill Theatre, Dundrum, where all children are treated equally regardless of their standard of performance. While training of the highest standard is provided, the school prides itself on its focus on the well-being and encouragement of each child’s development, to prepare them for the inevitable challenges of life. These classes take place in our Mount Merrion, Monkstown and Carrickmines venues. Top dance teachers/professional dancers teach this fun class. Check the school timetable for separate classes for children and teens. No experience necessary and is suitable for all ages. For those children choosing to join the Musical Theatre class, an hour of hip hop dancing is compulsory as part of their weekly two hours session. For children attending the ‘Building Confidence Through Music, Drama & Presentation Skills’, hip hop class is optional at a discounted price. These classes take place in our Sandymount venue. Please see our Timetable page for our Current Timetables or please contact us for more information.